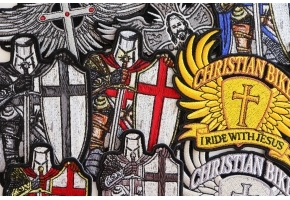 If you want divine inspiration while riding the open roads then the ‘Blessed Biker Jesus’ patch is the one for you. 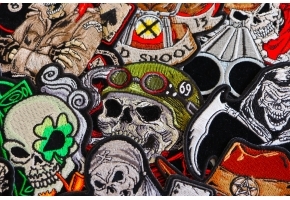 This patch is absolutely stunning and the attention to detail is amazing. The beautiful blues and blacks contrast superbly and the fabulous embroidered detail is exquisite. 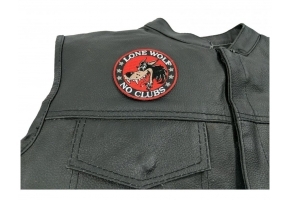 You can use the thick die cut borders to sew this brand new, never before sewn patch on to your leather jacket or vest. 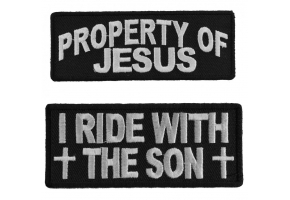 Or simply iron it on to any other type of material. 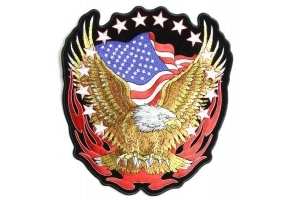 This small 3.5x4 inch patch will look amazing on any jacket or vest.